Biz Value can help you with corporation dissolution in Nassau County NY, New York City, New York County NY, Raleigh NC or Suffolk County NY. Sometimes things don’t go as planned and it may become necessary to dissolve a business. If there are disputes and conflicts between parties involved, things can become messy and ugly. Things are already out of control when they land up in court. That is why it is a good idea to have a shareholder’s agreement in place that also deals with the possibility of corporation dissolution. When dissolving or closing down a business there are certain procedures that need to be followed. One of these things is a certificate of dissolution. By filing Articles of dissolution you notify the state and other role players that you are terminating the corporation. One of the first things to do when considering dissolution is to call a board of directors meeting. The directors can then formally start the process to dissolve the corporation. 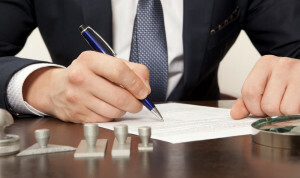 In addition a written document signed by majority of shareholders will be required. The next step will be to formally file a Certificate of Dissolution with the relevant authority. You also need to notify the IRS of your intended dissolution. You will be required to settle all outstanding taxes to obtain the required tax clearance certificate. In addition you need to close all accounts and notify suppliers, vendors and other affected parties. You also need to cancel licenses, permits and related concessions. Corporate dissolution does not mean you don’t have other legal consequences. It can be a complicated and risky process and best done with the assistance of a professional such as an auditor or lawyer. If you need help with corporate dissolution in in Nassau County NY, New York City, New York County NY, Raleigh NC or Suffolk County NY, then you need look no further than Biz Value.